All clients must complete this form prior to leaving your pet(s) at our facility. Complete this form online to save time on your first visit. There are four pages to this form, and all pages must be completed. When you submit the completed form, a PDF copy will be emailed to the address you provide and to our office. There are no Pets . This is a Contract between The Animal House, Inc. (hereinafter referred to as "TAH, Inc.") and the pet owner whose signature appears below (hereinafter referred to as "client"). By signing this contract and leaving said pet with TAH, Inc., client certifies to the accuracy of all information given about said pet on the Client Information and Additional Pet Information forms. Client specifically represents that he or she is the sole owner of the pet, or is authorized to act on the owner’s behalf. Client assumes any expense or liability for injuries that Client’s pet may inflict upon any human or other pet while in TAH, Inc. Client is solely responsible for the health and wellbeing of their pets upon departure from TAH premises. If pet becomes ill or if the state of the pet’s health otherwise requires professional attention, TAH, Inc., in its sole discretion, may engage the services of a veterinarian or administer medicine or give other requisite attention to the pet. Client gives consent to TAH, Inc. to act in the Client’s behalf in obtaining emergency veterinary care at Client’s expense if deemed necessary by TAH, Inc. Client releases TAH, Inc. and all of its employees from any and all liability for injuries to yourself or your pet which may occur at TAH, Inc. This contract contains the entire agreement between the parties. All terms and conditions of this contract shall be binding on the heirs, administrators, personal representatives and assigns of the Client and TAH, Inc. Client has read and understood the “Policies” form. While TAH will do everything within their power to prevent the undesired consequences that can occur when groups of dogs and/or cats play together, Client acknowledges that by bringing their pet(s) to TAH they are exposing them to the potential, however slight, of nicks, scratches, bites, other injuries, contagious diseases, and parasites. A Temperament Test, or Pre-Boarding Evaluation, is performed on every new dog before they can board or participate in day care. Overly aggressive dogs will not be allowed, nor will dogs that put the staff, other dogs, or themselves at risk. If a dog has not visited us within 6 months, they may need to be re-evaluated. We require up to date DHLPP (distemper, parvo), kennel cough (bordetella), and rabies vaccinations. State regulations dictate that we have written proof of vaccinations on hand. You may bring them with you or have your Vet fax them to us at (706) 737-5877. 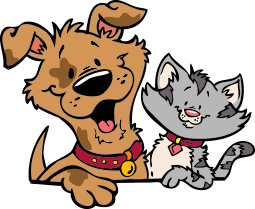 Dogs and cats that attend The Animal House, Inc. must be free of fleas, ticks, and ear mites. If your pet is found to have fleas or ticks, we will bathe them with our flea and tick shampoo at your expense. All dogs older than 6 months must be spayed or neutered. If you pre-bag your pet’s dry meals into individual portions, we will reduce the overnight stay fee by $1 per night. We will also feed day care dogs lunch, if you provide it. If you prefer, or forget to bring your own, we will provide our food for $1-$3 per meal. We will medicate your pet per your instructions at no charge, but will not administer insulin shots. Overly complicated or excessive medication may result in an additional charge. Sleepover space is limited, and reservations are strongly recommended. Please notify us as soon as possible of any change of plans. During major holidays and Masters, we require a deposit, which is non-refundable unless you cancel before the specified due date. In addition, once your stay is confirmed you will be obligated to pay for the entire time reserved, even if you drop off late or pick up early, unless we are able to re-book the room. We provide bedding, bowls, and toys to all boarders. Personal items are not guaranteed to be returned. We reserve the right to refuse a visit if your pet arrives sick, not up to date on vaccinations, or with a flea, tick, or ear mite condition. If a pet gets sick or injured while here, our contact order is the dog’s owner, listed contacts, the owners vet, and finally an emergency vet, should we deem it necessary. Please be prompt about picking up your dog at the end of the day, and please call us if you are running late. We reserve the right to assess a late fee if we have to wait for you. Is there anything else we need to know about your dog?